So the first time we tried to visit Bangkok was last year in the midst of the Red Shirt sit-in and shut down of Siam Square. This time, it was decidedly calm and quiet and hot! 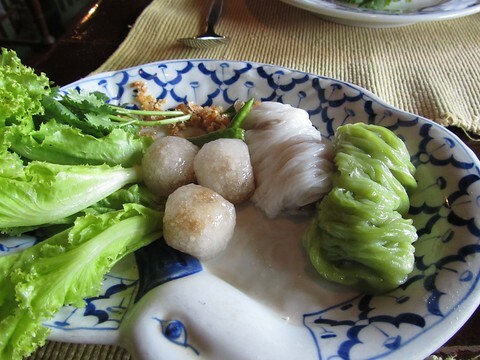 While our goal was to eat and drink our way around Bangkok, we also got massages, took another cooking class and had some clothes made. A nice, relaxing trip. There are too many food and drink pictures to post them all but here are some of our favorites of the trip. Be forewarned, if you're not hungry already, you will be! 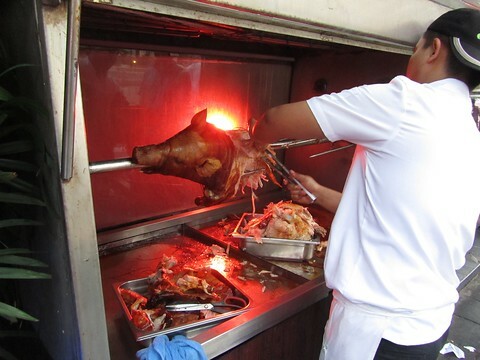 Some German restaurant/bar down the street from our hotel was roasting a whole pig. It looked pretty good. 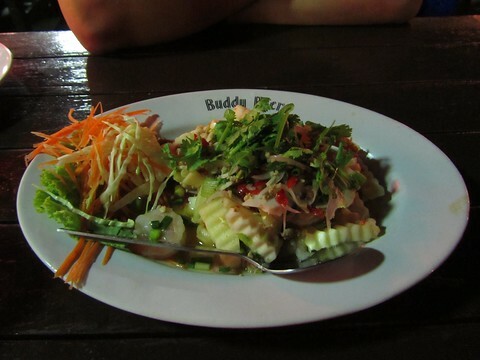 Too bad we weren't in Bangkok for German food. 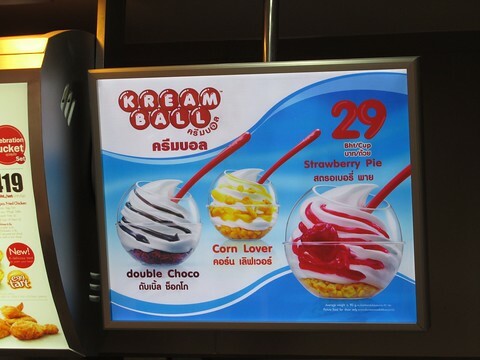 Check out the corn cream ball from KFC. Didn't try it but it did look interesting. Here's Henry finishing his pad thai that he made at cooking school. It was yummy! 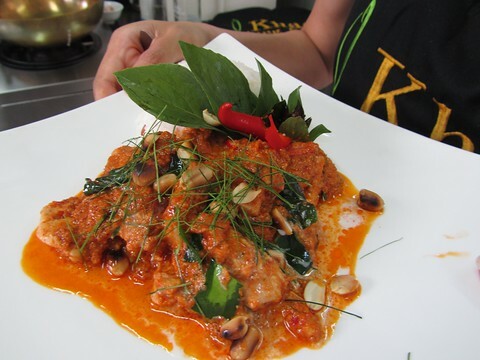 My penang curry. First time I've ever made penang curry. 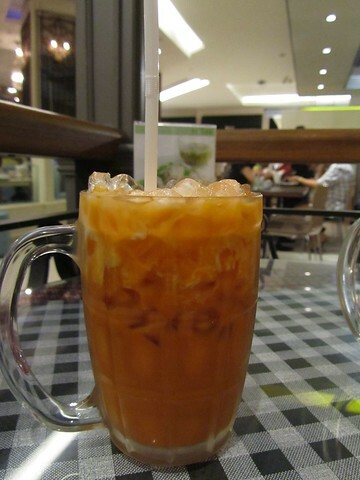 We had lots of Thai iced tea. 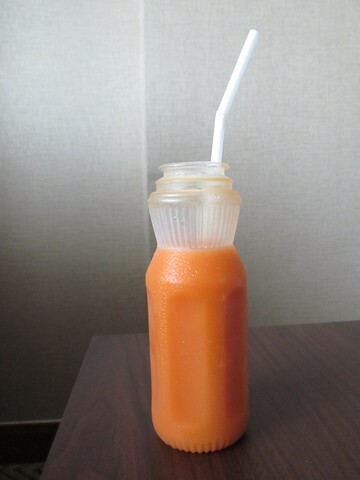 And this carrot passionfruit juice was deelish! 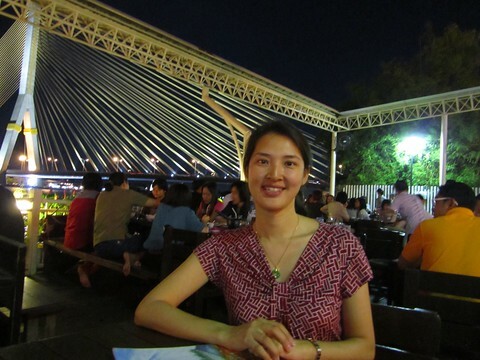 We also went to this awesome Thai seafood restaurant on the Chao Phraya river with a great view. 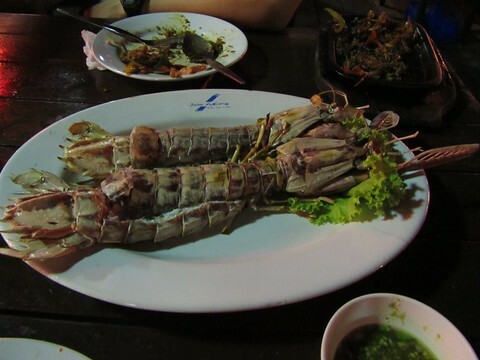 We also had some mantis prawns at this restaurant as well as a yummy hearts of coconut palm salad.